By Amanda Glenn 14 Comments June 21, 2018 This post may contain affiliate links. One of my friends recently had a baby, and when I brought her dinner last week, I thought it would be fun to make her some lactation brownies for dessert. 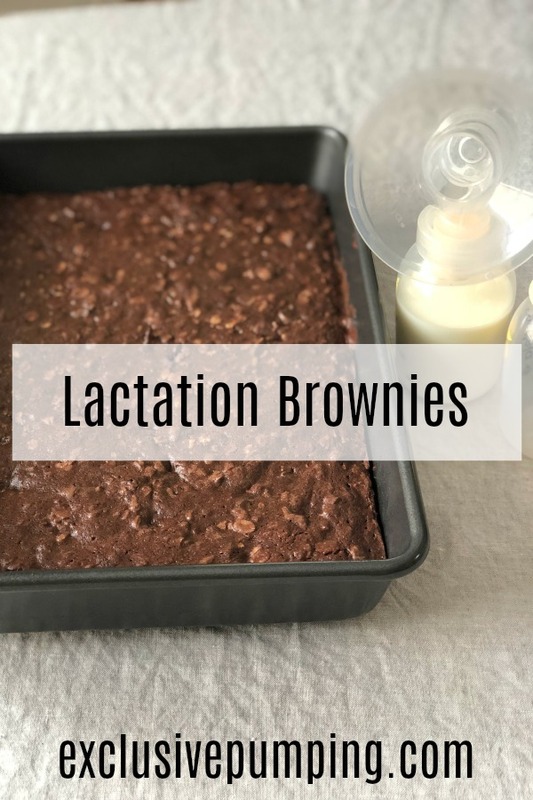 Lactation brownies are mostly normal brownies with a few ingredients that are thought to increase milk supply for some women. The idea is to maximize the ingredients that boost milk supply while having brownies that still taste delicious. This recipe is based off of one Sarah Biggins wrote as part of a cookbook named More Milk Please. The website that she sold the e-cookbook from is no longer active, so I can’t link to it, unfortunately. But I had made her version of the brownies four years ago, when I was breastfeeding baby #2, and they were freaking delicious, so I was excited to try them again. One of the things that I changed about the recipe was not including brewer’s yeast. The original recipe had three galactagogues – old fashioned oats, flax seed, and brewer’s yeast. The thing about brewer’s yeast is that it’s not easy to find it locally – it typically requires a trip to a Whole Foods or a health food store. Your best bet is to get it from Amazon, but that requires more organization and planning ahead than I have in me some days. Also, it’s not cheap – a tub of it costs about $15, and then you would only use two tablespoons of the 16oz tub for this recipe. So, I decided to modify the recipe to only use the oats and flax seed, but to use more of them. The original recipe called for 1 cup of oats and 2 tbsp of ground flax seed. Initially, I increased the oats to 1.5 cups and the flax seed to 1/4 cup. These were really good – my son loved them, so much so that I worried he might start lactating. However, I kind of felt like I’d overdone the oatmeal a bit, so I reduced them down to 1.25 cups the next time I made the brownies, and kept the flax seed the same. This batch was much better, so that’s what I went with for this recipe. If you have brewer’s yeast on hand and want to include it, you can definitely add it in. I would use 2 tbsp and add it in with the flour. The big question, of course, is do lactation brownies really work? Everyone is different, but my experience has been that I would get a small boost from them, similar to what you might get from drinking Mother’s Milk Tea or eating oatmeal for breakfast. It’s not an earth-shattering change, but it’s a nice boost, and eating lactation brownies is way more fun that drinking tea or eating oatmeal! Do you need to increase your milk supply? 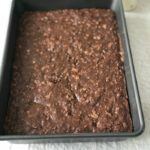 These lactation brownies have two galactagogues - oatmeal and flax seed - that can help boost your milk supply. Plus, chocolate! In a large bowl, mix together butter, sugar, eggs, vanilla, and flax seed until combined. Stir in flour, cocoa powder, salt. 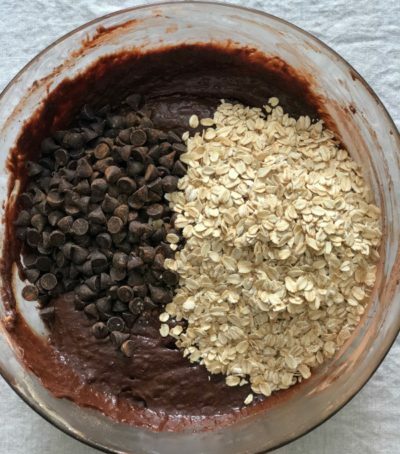 Fold in chocolate chips and oatmeal. How much flaxseed should i put if i would like to add brewer’s yeast? Can I use cacao powder instead of cocoa powder? 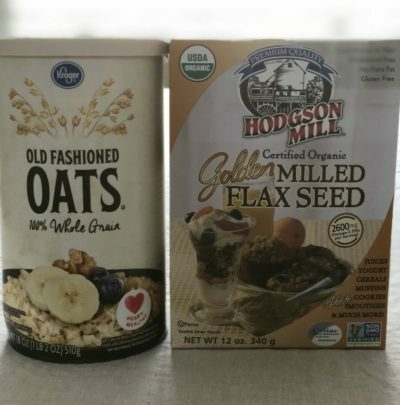 Can you use steel cut oats vs old fashioned? Hi Michelle! I have not tried this. I have both steel cut and old-fashioned oats at home, and I just checked the nutritional info to see how they compare. The steel cut seem to be more dense – 1/4 cup is 150 calories versus 1/2 cup of old fashioned. So I’m guessing the proportions would be wrong – sorry! I swapped whole wheat flour and used 1/2 coconut oil and 1/2 butter and these are the BEST brownies I’ve ever had!! So fudgey and amazing plus give me a milk boost. Score!! I did add the brewers yeast too. I’ve made these 3x already!